Today in this post I will tell you how you can find from where your Twitter followers are. If you are on twitter and you have many followers there. 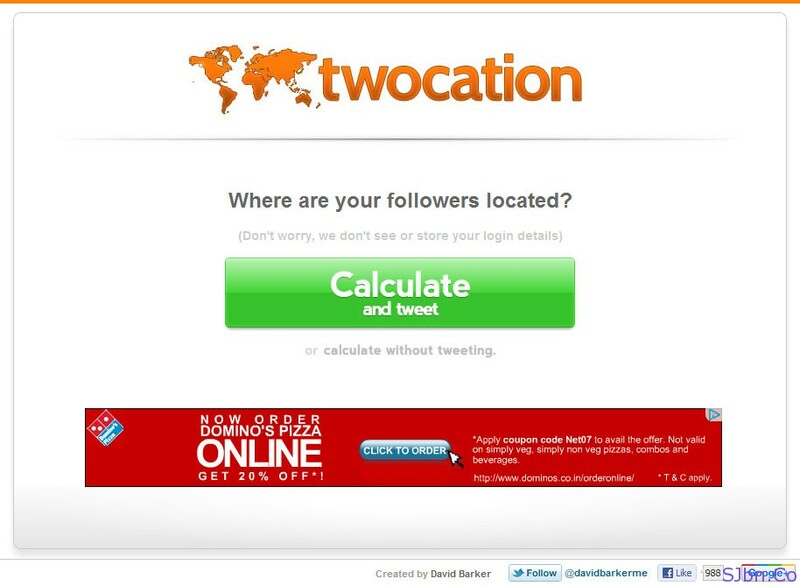 And if you would like to know where your followers are located then you can use twocation.com. Simply go to twocation.com and select Calculate and tweet button* and then it will ask you to give access to your Twitter account, click on Authorize app button and it will start it work. After it completes it will show you all countries name that followers are from and also with a map of world. And it will make tweet of top 3 countries that your followers from. *It will tweet the result instantly, if you don’t want it to tweet automatically, click on calculate without tweeting (just below the button). Thank Chetan for this tip.